For more Halloween inspiration, visit our Seasonal tab at the top of our page or follow our Pinterest boards for our latest pins! I know, it’s not even Labor Day yet & I’m posting about Halloween…. While I had some time at the beach, I starting brainstorming about Halloween crafts for the girls to make this year. I decided to try a few of them out before the business of “back to school” came & I forgot all of my ideas! 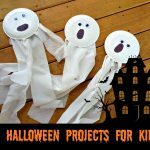 So, if you’re ready to start planning Halloween crafts for the little ones, here are 3 fun projects to try! 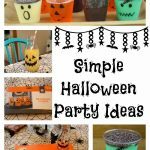 Here are the fun crafts! They are in order from most difficult to easiest. Directions: Have your child paint the clay pot black & the green wood ball green. Let them dry. Glue the flat part of the wood ball onto the bottom of the clay pot. Let that dry. Glue the eyes, yarn “hair” & hat onto the witch. Last, use some of the black paint to give the witch a “smile”. 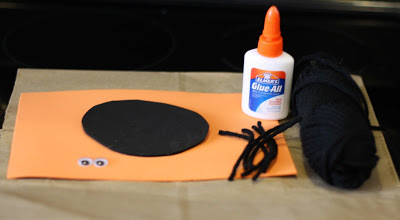 Directions: If your child can use scissors well, they can cut out a black circle & cut the yarn into 6 strips for the spider’s legs. If you are crafting with a little one, cut everything ahead of time & let them assemble the spider. Once you have all the pieces, use the glue to make your spider! 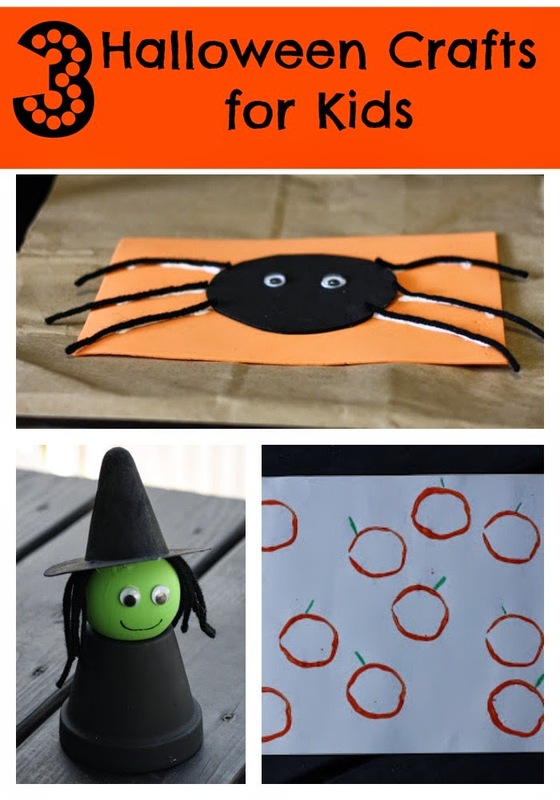 I used foam sheets, because they are sturdy & fun for little hands to craft with. Dip the toilet paper roll into the paint & use it as a stamp to make orange circles on the paper. 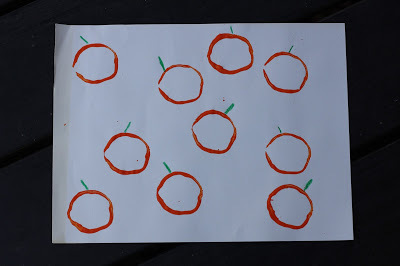 Once dry, use the green crayon to make the pumpkin’s stems. Follow The Chirping Moms’s board Halloween on Pinterest. There's no better time to start thinking about Halloween in my opinion! One of my favourite times of the year! Those are all cute ideas. I love the witch! She's adorable. I will be pinning this to my Fall board. Thanks for sharing on Artsy Play Wednesday. Love these ideas! 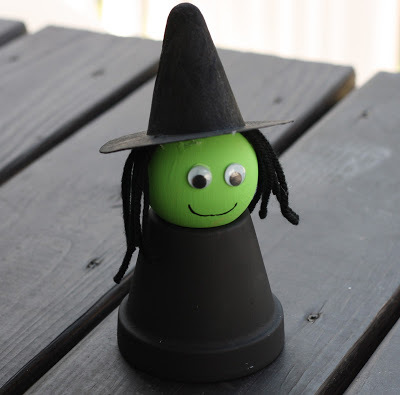 We made a flower pot witch last year and I was not allowed to put it away. It's been on the shelf all year. So cute! Thank you for sharing at our Pinning for Play link party! What adorable ideas! 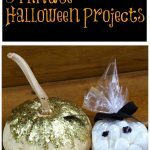 I'm definitely going to do the pumpkin prints and the witch. My daughter will go nuts over the witch! Thanks for sharing! Thanks for sharing this idea at the Crystal & Co Mommy Solutions Linky Party last week. 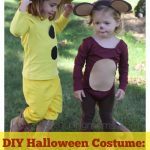 Such cute ideas for Halloween. I just shared this with the Crystal & Co Facebook community and I'm headed over to Pin it right now! Thanks! Great ideas!! I pinned them for when I start to think about Halloween. Thank you for sharing at Sharing Saturday! Love the pumpkin stamping. Added it to Kawartha Lakes Mums Autumn fun board. 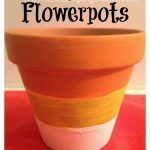 What type of glue did you use for the flower pot witch? What type of paint? Thanks! It's darling. Looking forward to making a few with my boys.